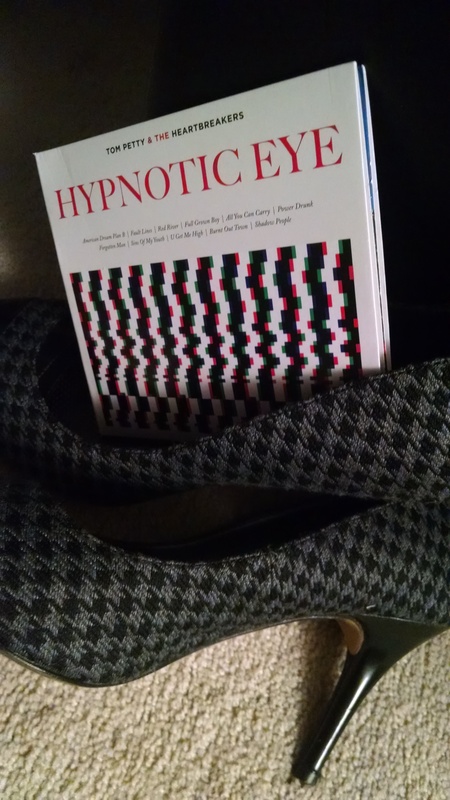 I have really been looking forward to “Hypnotic Eye”, although I have to admit I have been a little intimidated by the task of reviewing this album – I mean it is TOM PETTY for cryin’ out loud! So I’m gonna chuck any serious expectations out the window, and I’ll just dutifully summarize my thoughts for those who care to read them. Chances are, you’re approaching this Tom Petty writeup with 1) a pretty good idea of whether or not you like the guy; and 2) the fact that if you really like him, you have probably already downloaded the album by now. Pressure gone! You can’t actually compare Tom Petty to anybody else. And there’s really no need to, since everybody knows at least one of his hits. Some of the songs on this album DO however remind me of works by others: Neil Young, Patty Smith, Joni Mitchell, John Hyatt, and Steve Miller are all names that came to mind while listening. Of course this is a great album, but I recommend that you take your time with it. Because of my initial anticipation and excitement, I had a little bit of a letdown when I finally tore open the packaging and played the CD in my Prius. Everything seemed predictable, and I couldn’t wait to skip on to something else. After taking a break for a few days then coming back to the album, suddenly I was appreciating it so much more. I just decided to stop over-evaluating it, and instead I focused on enjoying the classic Petty. My favorite song right away was the opening track, “American Dream Plan B”. It is simple, raw, sassy and very rock n’ roll. Well done exactly the way I like it! In fact, I like all of the edgier tracks: “American Dream Plan B”, “Fault Lines”, and “Forgotten Man” – you have probably heard all of them released as radio singles. By contrast, another great track (that took longer for me to appreciate) is “Red River” – it seemed too 70s cliché and melodramatic at first, but then I learned to adore the singable chorus and almost CSNY feel that it carries. My least favorites are “Full Grown Boy” and “Burnt Out Town”, but this fact is likely just because I don’t understand these songs yet. “Full Grown Boy” is a little bit jazzy, and would remind me of a Steely Dan number if it only included some female backing vocals… as it is though, it just really isn’t my style and I think the lyrics are weird. “Burnt Out Town” again is just not my kind of music; it annoys me with the repetitive chorus and that bluesy, George Thorogood-esque style. If you enjoy these musical genres you will probably be rocking along with these two songs more immediately than I could. So far I love everything that I have reviewed – and of course this is no exception! “Hypnotic Eye” is an excellent new album by an American ROCK legend. Of the 11 songs, I’d say that three really rock; three can be described as 70s-influenced-alternative; three are a slower, moodier type of song; then we have the aforementioned jazz and blues songs to bring it all together. This is definitely an 8.5 rounding up to an A- grade, because I’m pretty sure I will only like it even more, the longer it remains in my car. Thanks Tom!